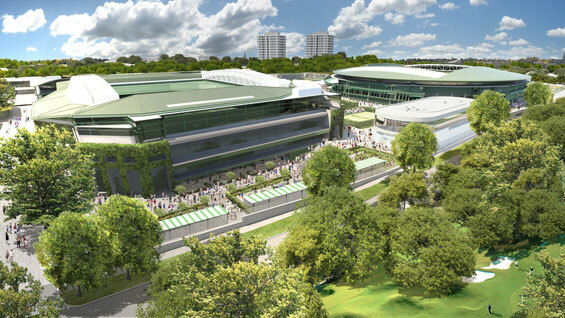 Grant Associates, has developed a holistic landscape framework and public realm strategy for the world’s most famous tennis club, Wimbledon, working alongside lead masterplanners, Grimshaw. 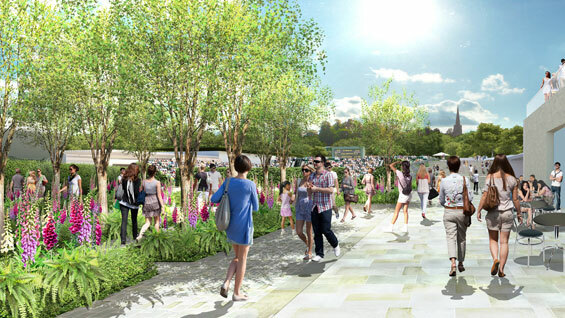 Reinforcing the spirit of ‘playing tennis in an English garden’ the landscape strategy designed by Grant Associates seeks to define, connect and choreograph spaces throughout the Grounds. 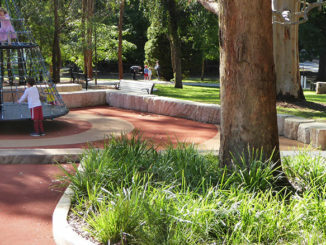 The aim is to reinforce the sense of an English garden, creating a unique narrative journey for visitors, players and Club members. 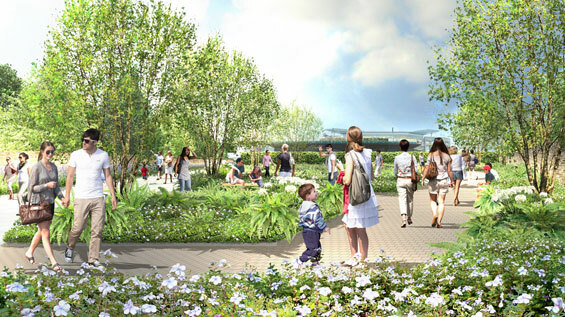 The landscape framework will include enhanced landscape walkways and promenades, the use of topiary, green walls and planted pergolas, creative paving, display areas, enhanced tree planting and themed garden spaces. 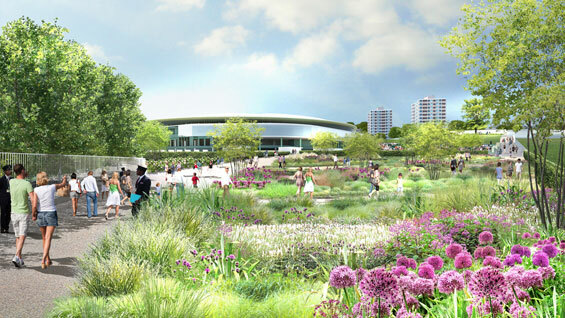 The wider Wimbledon Master Plan vision has been determined by a radical rethink and strategic re-configuration of the grounds to optimise the use of the site. New grass courts have been located to the north of No.1 Court to release space and ease congestion in the central area and the south. No.1 Court will be remodeled to receive a new fixed and retractable roof, which will allow for uninterrupted play irrespective of the weather. 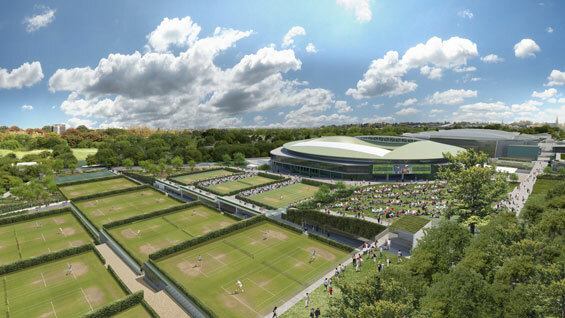 It will also provide new hospitality areas, replacing the temporary facilities currently situated at the south of the Grounds, which will benefit from spectacular views over the outside courts. Proposals will be brought forward in a phased development of detailed study, refinement and consultation. 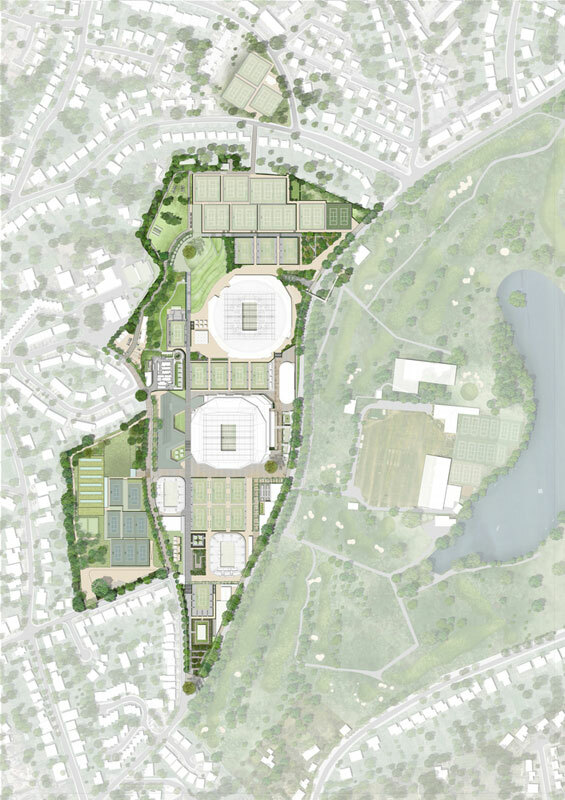 Publication of the Wimbledon Master Plan is the first step in the consultation with a wide range of stakeholders.